What we eat – as well as how it is produced, processed, moved, sold, and used by our bodies seems to matter like never before. Global Foodscapes takes on this topicality and asks readers to think about how we are all involved in the making of an odd and, in many ways, troubling and contested food economy. It explores how food is conceived, traded, grown, reared, processed, sold, and consumed; investigates what goes wrong along the way; and assesses what diverse people around the world are doing to fix these faults. The text uses a carefully-crafted framework that explores the interaction of five forms of oppression and five means of resistance as they are worked out over five stages in the food economy. 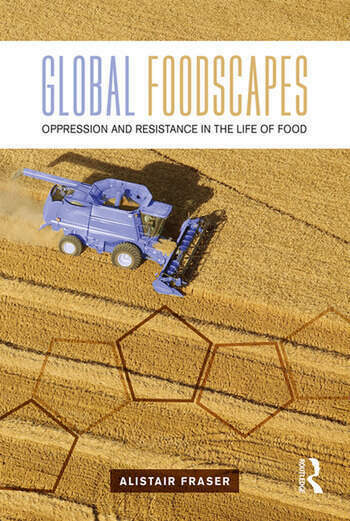 It draws on case studies from around the world that illuminate key issues about food in today's world; examines how oppression affects diverse people caught up in the food economy; and highlights how individuals, groups, and institutions such as governments, but also firms, are trying to improve how we interact with the food system. Global Foodscapes is a highly accessible and useful text for undergraduate students interested in the global food economy. The global range of case studies, examples, and reference points, as well as its original framework allows the text to speak to diverse audiences and generate debate about whether anything – and if so, what – needs to be done about the food system we depend upon so heavily. Additional materials such as suggested readings and discussion points help students consider the issues at hand and conduct initial and more detailed research on today's food economy. Alistair Fraser is a Lecturer in the Department of Geography, Maynooth University, Ireland. His research is diverse in nature – cutting across political, economic, and cultural geography – and includes journal articles on land reform in South Africa, scale in political practice, and music.